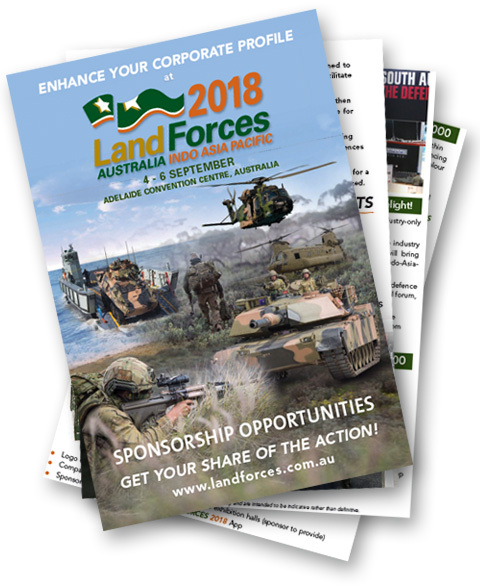 Become a LAND FORCES 2018 sponsor and share the limelight! The LAND FORCES 2018 Sponsorship Opportunities are designed to optimise product positioning, enhance brand awareness and facilitate business engagement. Our sponsorship encompasses a range of options to help strengthen your presence at the LAND FORCES 2018, the essential showcase for the latest defence technology. We can tailor packages to meet your individual needs and marketing objectives. Use the occasion to communicate directly with trade audiences over the course of the show. Set your company apart by contacting the LAND FORCES 2018 Sales Team for a sponsorship product which helps to ensure your brand exposure is maximised.